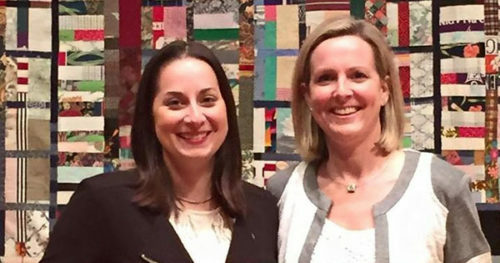 The Southern Baptist Convention (SBC) has cut ties with its D.C. branch because a Baptist church in D.C. hired two lesbians as pastors. In 2017, the Calvary Baptist Church in D.C. hired a married couple, Maria Swearingen and Sally Sarratt, as senior co-pastors. Calvary was founded in 1862 and has always been associated with progressive causes like the abolition of slavery, women’s education, and, today, LGBTQ equality. The church was protested by several people who entered with signs and chanting condemnation over supporting LGBTQ people. The DCBC’s executive director, Robert Cochran, sent a letter to the SBC saying that it “has not affirmed, approved, or endorsed homosexual behavior in any way at any time,” but that it has “no plans to disassociate” from Calvary. In May, SBC officially terminated their relationship with the DCBC. “The formal relationship between the SBC and the DCBC has come to an end,” said August Boto, the Executive Committee president of the SBC. The conflict here shows the extent to which external politics is affecting religion. While conservative Christians say that their views on sexuality and gender come from the Bible, it’s hard to ignore that it’s the D.C. branch – located in a solid-blue area – that was booted from the largely rural and southern SBC for being too accepting of LGBTQ people.